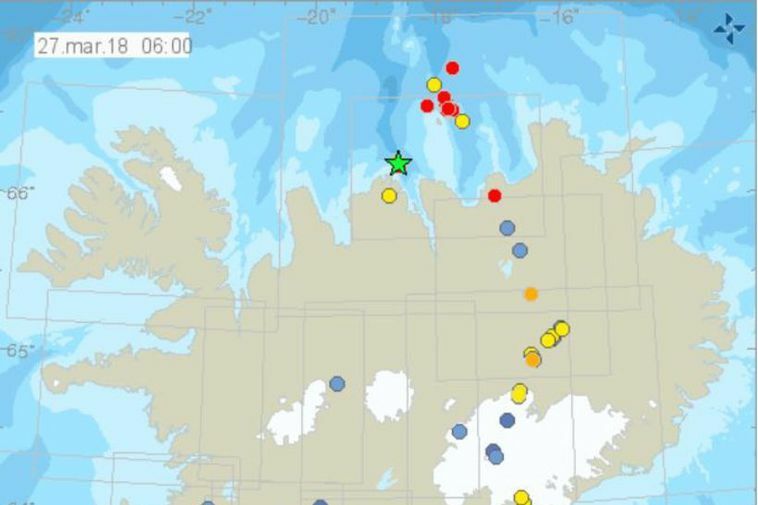 Almost thirty earthquakes occurred in North Iceland and the ocean north of Iceland last night. The largest earthquake of the swarm occcured at 2.30 AM at a magnitude of 3.0. Its origins were around 20 km North East of Siglufjörður. The swarm began at around 00.30 last night and most of them were at a magnitude of between 1.0 and 2.0. An earthquake of 2.8 occurred North East of Grímsey. The Iceland Met Office sees no cause for concern but is carefully monitoring events.